Ah it’s that time again for a dose of some Hard Dance news from your pal, Tamerax. I’ll confess, this article is going to be less about Hard Dance news and more about FREE STUFF! 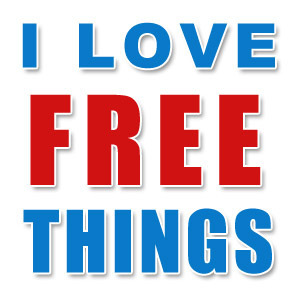 Everyone likes free stuff right? Well, I’m happy to bring you some new Hard Trance tunes brought to you by quality producers. Honestly, it’s about time that Hard Dance producers get with the times and start pushing out free tunes. It has been working really well for other genres for the last few years (bloghouse?) and with the advent of Soundcloud making it incredibly simple to share tunes, there is no reason why Hard Dance producers should be left behind. There still seems to be this strange “exclusivity” associated to styles under the Hard Dance umbrella but things are changing. New producers are getting recognition through their free songs easily available on Soundcloud and linked through Facebook. What is even better is that more and more established producers are finally getting on board with this concept and really raising the quality bar. We’re actually getting tunes that are pro mastered and ready to go. Some say they are rewarding their fans while others are using it to gain new fans who wouldn’t otherwise go out and purchase their music. It has always been a great form of marketing; free samples to anyone who wants one and those who like the product will come back and purchase more (you know…like heroin). So while you still need to do some hunting for the good stuff, at least you know that you will eventually be rewarded with a really good quality tune. Being a good DJ starts with good tunes so this is like a modern version of crate digging from back in the day. Here are some good leads for you. These 3 amazing producers have been putting out some great FREE tunes that will fit into any Hard Trance set. Carl Nicholson is easily one of the most recognizable names in Hard Trance. He’s been in the game for over 20 years and was student of the legendary Tony De Vit. This award winning producer has over 90 releases of original and remix releases under his belt and is in charge of the amazing Presence Family of record labels as well as CN Recordings. His recent artist album, Storybook, is simply a stunning collection. Kipster has a TON of free tunes on his soundcloud page and he keep releasing more. Check out the tune below and like his facebook page to keep updated on his new material. I’ll be honest, Nuro GL is the producer in this list I know the least about. I know he’s been producing for over 10 years and he has a HUGE selection of releases plus he is the label manager for one of my favourite Hard Trance labels, Endorfiend Digital. I was actually quite excited to see the tune below recently released for free. It’s an interesting remix of tune he collaborated with one of my previously profiled producers, Clayfacer. It has some vocal elements in it and a ting of Hard House but it’s a banging tune for sure. So there you go. Three free tunes by some great producers. I highly encourage you guys to check out more of their material. If these are the tunes they are giving away for free, you should see what they have for sale! The next article I’m putting together will be about the rise of the Hard Dance scene in North America and how we are catching up with our European counterparts. On a personal note just to let everyone know, I’m now the head of the Kikwear Canadian Street Team. So I’m pushing Hard Dance now more than ever through this great new contact. Come check us out on Facebook and give us a “like”!